BLEDSOE COUNTY – An investigation by Special Agents with the Tennessee Bureau of Investigation has resulted in the indictment and arrest of a Pikeville woman on bribery charges. At the request of 12th District Attorney General Mike Taylor, in November 2018, TBI Agents and investigators with the District Attorney’s office began investigating Sonya Nale on a complaint of bribery. During the course of the investigation, Agents and investigators developed information that in September 2018, Nale offered to pay an arresting deputy to drop charges against another individual, and later offered money to a judge in exchange for dropping those same charges. 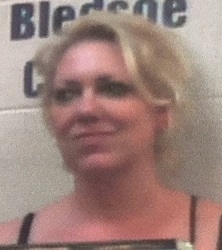 On Monday, the Bledsoe County Grand Jury returned indictments charging Sonya Hawkins Nale (DOB 06/05/1970) with two counts of Bribery of a Public Servant. She was arrested Wednesday and booked into the Bledsoe County Jail on a $10,000 bond.